Editor's Note: Steve Jobs died at the age of 56. We're reprising this article as we look back at his extraordinary life. After what many would call a brilliant career, Apple's Steve Jobs said late last night that he would step down as CEO. Though he will stay on as Chairman and still hold sway over the company, much of Apple's day-to-day operations will fall to his successor Tim Cook. In his resignation letter, Jobs said that Apple has its best days ahead. While that may be true, now seems like as good a time as any to give credit where credit due. 1. The iPod and iTunes. For many consumers, the pint-sized gadget that first hit the scene in 2001 was their first entrée into digital music. At the time, there were other digital music players but none had the staying power of Apple's iconic iPod, its subsequent versions and offshoots like the iPod Touch. But perhaps even more revolutionary was Apple's iTunes, the digital media player that launched in 2001. That platform didn't just become the ubiquitous means by which music was bought, sold and shared, it broke down the old music model that gave record companies ultimate reign over the radio waves. Suddenly, independent musicians and artists didn't need a record deal to be heard; they can now reach their audiences directly. 2. Not doing it for the money. 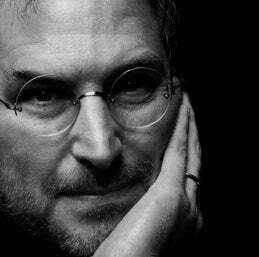 Long before Citigroup's CEO Vikram Pandit was taking home $1 a year, Steve Jobs earned a measly $1 annual paycheck. When he rejoined the company in 1997 after being let go from Apple in 1985, Jobs set his salary at just $1. Though the tech pioneer is well-known for his wealth -- thanks to his investments in Apple and Disney, among others -- he has been quoted as saying "I never did it for the money." In 2010, his total compensation was again $1, according to a Securities and Exchange Commission filing. 3. Focusing on design. The original Macintosh computer aside, Jobs' focus on sleek, light-weight and resilient design has led to a concerted effort among the technology community to deliver similarly ergonomic technologies. Under his reign, dial-up modems, floppy drives and the fax machine got the ax, just to name a few. 4. Inspiring others. Not only do legions of entrepreneurs list Jobs as a source for inspiration, Apple's ecosystem has helped fuel thousands of other businesses. At present, there are more than 500,000 applications listed on iTunes, and countless other technology firms have sprung up to furnish ancillary products. From iPod battery-life extender Mophie to Apple-accessories supplier Speck to app development firm Sweb Apps, Jobs' creations for Apple have become critical to so many other businesses. Furthermore, applications developers and programmers have been building off the platform's specifications for years. 5. The iPad. E-readers, computers and mobile devices were already in existence when the iPad launched last January, but the newfangled gadget nonetheless caught on -- and beat record sales figures quarter after quarter. Apple's iPad -- which is expected to get a refresh in early 2012 -- also gave rise to new business concepts and uses. More than 90,000 applications have been developed for the iPad alone. Furthermore, other technology firms have since developed their own tablets but none have come close to touching Apple's success. Hewlett-Packard last week slashed the price of its TouchPad to $99 from the original sale price of $499, as it announced that it would discontinue the product. 6. Wowing investors. A decade ago Apple’s stock was worth $9 a share; today, it’s $372. Second only to oil giant Exxon Mobil, at $345 billion, Apple is one of the world's most valuable companies. 7. Being a visionary. Just ask HP and BlackBerry maker Research In Motion if Jobs' laser-like focus on design has been tough to beat. Though, notorious for being a stubborn micromanager, Jobs has managed to steer Apple in the direction of excellence. He is a visionary in the sense that he developed products for consumers that he thought they needed -- and they confirmed his hunches again and again. 8. Forcing other corporate giants to be innovative. Thanks to the launch of iTunes, which demanded that songs sell for the low-low price of $1, record companies that wanted to reach consumers on iTunes were forced to comply. In 2007, Cingular moved to redesign its voice-mail system for the iPhone’s visual voice mail. And in 2009, the typically guarded AT&T agreed to offer consumers a month-by-month data plan for the iPad without requiring a signed contract. 9. For proving that a dramatic turnaround can be possible. Once again in charge of Apple in 1997, Jobs struck a deal with Microsoft to help ensure Apple's survival. Under the arrangement, Microsoft invested $150 million for a nonvoting minority stake in Apple, and the companies agreed to "cooperate on several sales and technology fronts." Next, Jobs installed the G3 PowerPC microprocessor in all Apple computers, making them faster than competing Pentium PCs. He also spearheaded the development of the iMac, a new line of affordable home desktops, which debuted in August 1998 to rave reviews. Under Jobs' guidance, Apple quickly returned to profitability, and by the end of 1998, boasted sales of $5.9 billion. 10. Boosting employment. In 1997, the company and its world-wide subsidiaries had just 8,437 regular employees, and an additional 1,739 temporary or part-time contractors and employees, according to SEC filings. As of last September, Apple had approximately 46,600 full-time equivalent employees and an additional 2,800 full-time equivalent temporary employees and contractors. Corrections & Amplifications: An earlier version of this story misstated the year in which iTunes was released, which was 2001. The story also misstated the year that Cingular/AT&T revamped its network to support visual voicemail. It was 2007. Copyright © 2011 Entrepreneur Media, Inc. All rights reserved.